Bremmer, president and founder of Eurasia Group and Foreign Affairs Columnist at Time, discusses three choices for America’s role in tomorrow’s world—that of an “independent America” renouncing its responsibility as the global problem-solver, a “moneyball America” defending only its strategic interests, or an “indispensable” America deepening its existing international commitments. Ian Bremmer reads from The J Curve: A New Way to Understand Why Nations Rise and Fall. Ian Bremmer is currently considered a "single author." If one or more works are by a distinct, homonymous authors, go ahead and split the author. 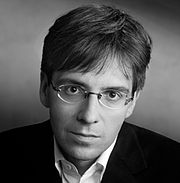 Ian Bremmer is composed of 3 names. You can examine and separate out names.